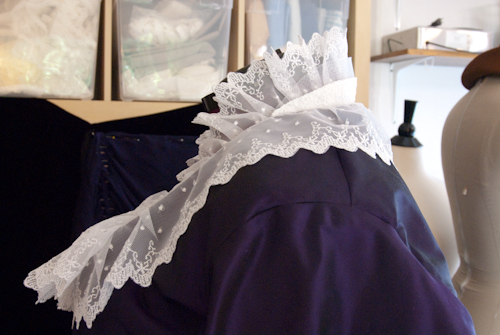 The collar needed to stand up in the back but I wanted to do so without requiring my client to heavily starch the lace each time. 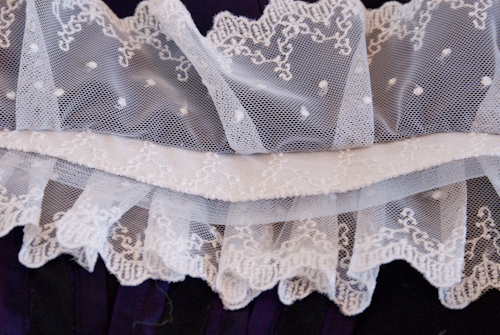 Because the lace is so sheer I decided to create a collar stand of buckram covered with lace topped with a clear plastic horsehair extension. 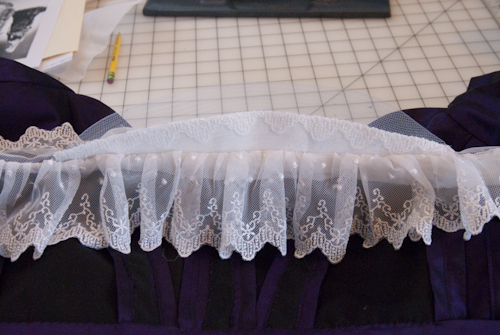 The extension needed to be flexible and near invisible so the beauty of the lace would stand out. The flexible nature of the fake horsehair allows for my client to get the standing effect without losing range of motion of her neck. 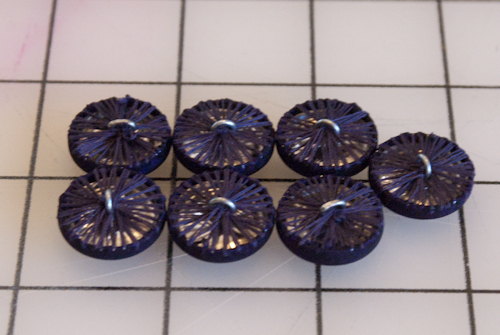 They are done with a normal dritz kit but then stitched over the back, like you would over wooden buttons to secure the fabric in place smoothly. 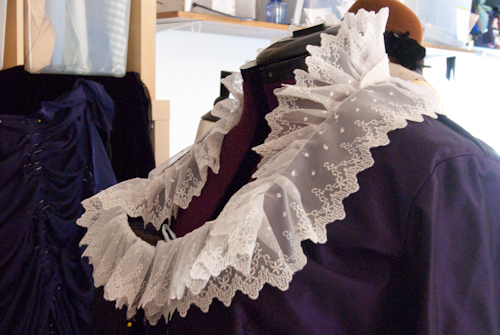 Gorgeous colour and your solution for the collar is ingenious. Ooooh Laurie! Beautiful! I am so looking forward to seeing it finished! Caeli- I”m sitting here with my contractions 2 minutes apart making a list of the small to do list left on your dress :) *laughs at self* Cause that is so me to do so. I thought I’d have at least another week of him in my tummy! I have been following you Laurie. No worries. be the mom you need to be. Enjoy Corwin. He is a treasure to be cherished. 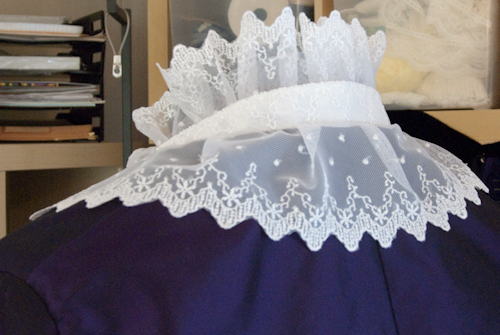 I have no doubts as to whether the dress will be finished on time. I know you are impeccable in your talent and reputation. I have no fears that everything will be done, and beautiful. 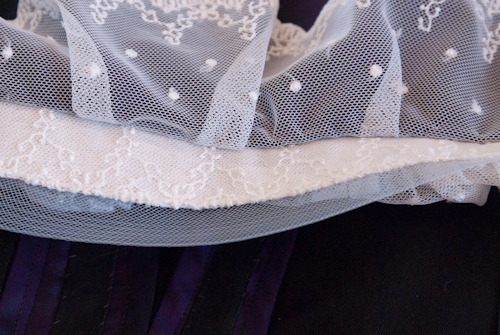 But then again, you can’t blame this bride to be for having feelings of excitement about her beautiful dress as she watches it’s progress to completion! ;) Kiss Corwin for me! Lots! Oh and some hugs too!